Alzheimer's & Exercise | Is There An Effect? Time to Lace Up Your Sneakers! To exercise or not exercise, that is the question. Can it delay development of Alzheimer’s disease by increasing the size of your hippocampus, the part of the brain crucial to memory formation? There has been recent press about a recently concluded study from the Cleveland Clinic. That study found that exercise had positive effects for people with the APOE e4 gene, which is associated with a higher risk of Alzheimer’s disease. However, the exercise program seemed to have no impact on the other 3 groups. This trial followed 97 subjects for 18 months. All participants underwent a brain scan at the start of the trial. They were divided into 4 groups: those with APOE e4 who were (1) physically active or (2) inactive, and those without the APOE e4 gene who were (3) physically active or (4) inactive. Assignments to the active versus inactive groups were based solely on the self-reporting of the subjects. The types of exercise ranged considerably among the participants, and there was no oversight of the exercise regimens. At the end of 18 months, all subjects underwent another brain scan. They showed that those with the APOE e4 gene who were not physically active during the trial experienced a 3% decrease in the volume of their hippocampi. The APOE e4 group that exercised and the other two groups of non-APOE e4 subjects had no change in the size of their hippocampi, suggesting that exercise only made a difference in those at high risk for Alzheimer’s. This study is inconsistent with two other studies that have evaluated the size of the hippocampus over time. Does the Hippocampus Naturally Shrink as We Age? In 2005, a longitudinal study was released which has followed 72 healthy people over 5 years to determine what happens to the size of the brain over time. The analyses of these scans showed widespread shrinkage of the brain as people age, and that the hippocampus in particular, shrinks at increasingly faster rates with age. 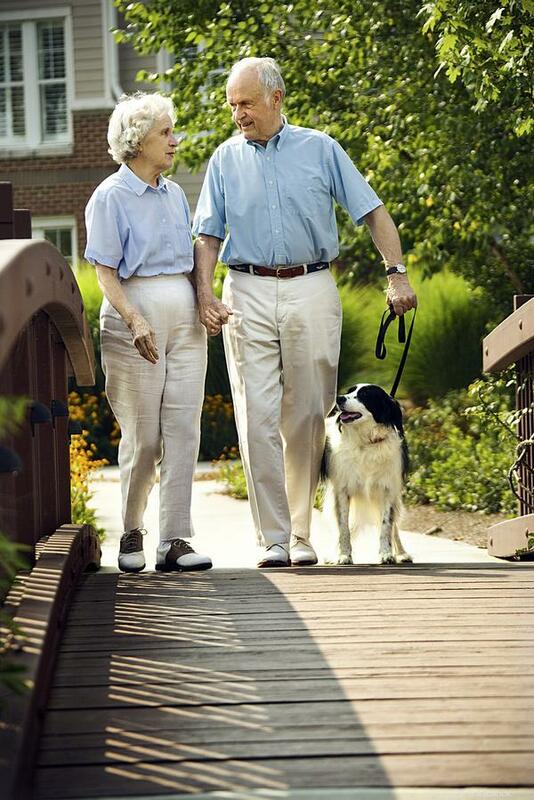 Moderate Walking as a Dementia Preventative? The other study that reached a different conclusion was published in 2011 by the National Academy of Sciences. This study involved 120 healthy subjects, aged 55 to 80, who were followed for 18 months. One group was assigned to aerobic activity and the other was assigned to a program of stretching. The aerobic exercise consisted of walking, 40 minutes a day, 3 days a week. The stretching program consisted of 40 minutes of weight training, exercises for balance and a yoga sequence, also for 3 days per week. Trained leaders supervised both groups. Subjects underwent MRIs and spatial memory tests at the start of the trial, after 6 months, and at the end of the trial. The researchers reported that the group engaged in aerobic exercise had increased the volume of their hippocampi by 2% over 18 months. The hippocampi of the control group had shrunk. The trial included spatial testing to determine if the changes in volume of the hippocampus correlated to improved memory. Interestingly, both groups improved on the spatial memory tests as measured by the amount of time it took to complete the testing and the accuracy of the results. So, should we stay on the couch and root for our favorite teams, or go to the gym ourselves? These trials raise as many questions as they answer. Is exercise only helpful for people who are at a higher risk for developing Alzheimer’s? Is the volume of the hippocampus an accurate measure of cognitive functioning? If exercise improves cognitive functioning, what is the mechanism or chemical reaction that causes the improvement? What exercise provides the best protection against cognitive decline? What is the optimum amount of exercise must a person get to maximize the impact on cognitive functioning? If 40 minutes of aerobic exercise is good, is 60 minutes better? Or does one receive the same benefit in 30 minutes? There will need to be follow up trials on a much larger scale to answer these and other questions. However, the possibility of cognitive health improvements is reason enough to lace up those sneakers and walk in the summer weather. Next Article: Can’t Smell the Difference Between Coffee and Lemon? … You May Be at Risk for Alzheimer’s.